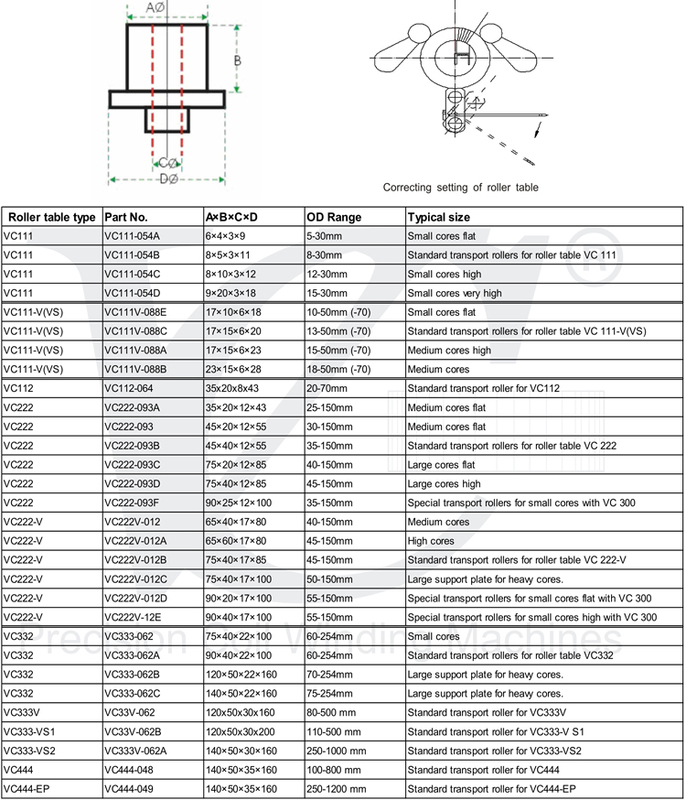 VC roller tables are interchangeable in very short time. 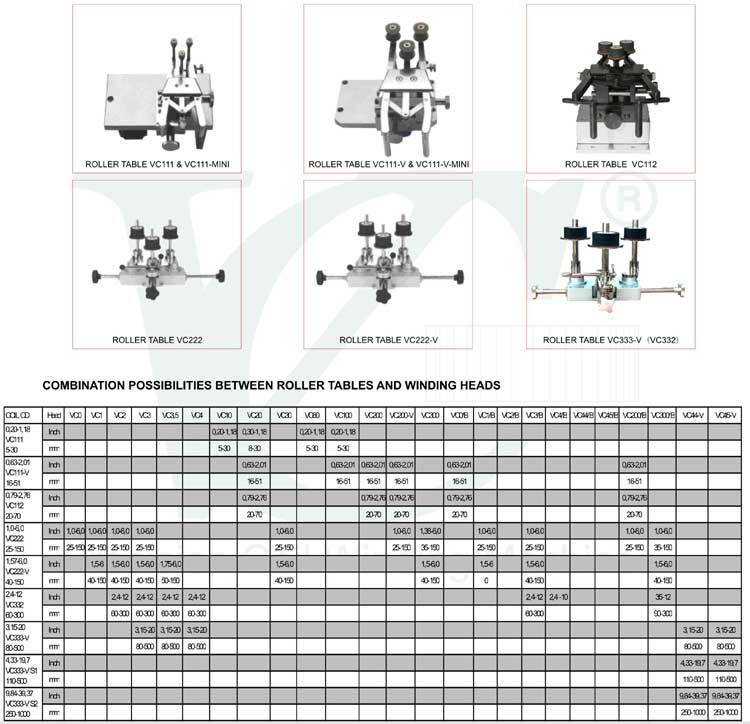 The purpose of the roller tables is to transport the core when winding or taping operations are carried out. Three rubber rollers can be adjusted to clamp any size of core within the clamping range.Many different sizes of rollers are available to suit individual core sizes .